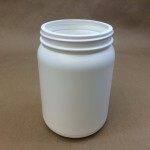 Home » plastic jars » Looking for Jar that is Larger than a Quart but Smaller than a Half Gallon? 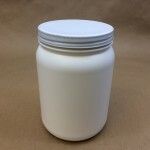 Looking for a jar that is larger than a quart (32 ounce) but smaller than a half gallon (64 ounce)? Perhaps our 48 ounce wide mouth jar would suit your needs. 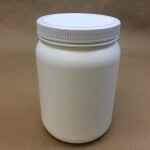 This jar is commonly used for dry products such as pills, powders or pastes. This jar has a standard capacity of 48 ounces. 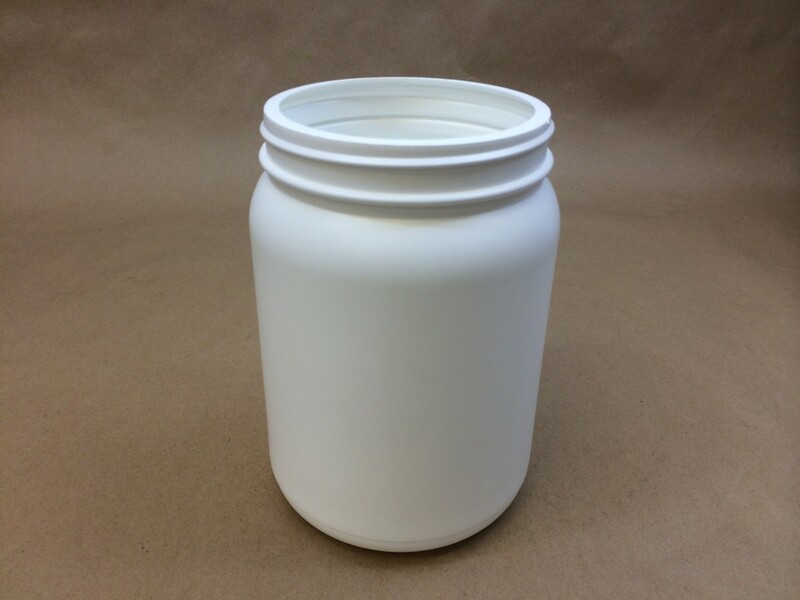 The standard capacity is the normal, commercial volume of a jar. It has an overflow capacity of 1930 ml+/- 24 ml. What this means is that the overflow capacity is approximately 64 ounces. The overflow capacity of a jar is the maximum volume of the jar if the contents were filled to the very top or brim. The overflow capacity helps the manufacturer to determine if their product will fit in a certain bottle style. You can find 110mm cap choices in our list of closures.